For the fourth year on the trot, the quality of Edenred’s financial communications has been rewarded in the Transparency Grands Prix. In the eighth edition of the Transparency Grands Prix, the Group was awarded the Grand Prix for the Industrial Goods and Services sector. This prize is awarded by a jury composed of various market actors, such as Euronext for the stock exchange, the IFA for administrators, the SFAF for financial analysts and corporate social and environmental responsibility, and the college of the AMF. This award reflects the attention paid by the Group to the quality of its financial communications, in terms of the accessibility, accuracy, comparability and availability of information. Edenred was honored on the strength of all its documents containing regulated information: the annual registration document, the charter of ethics (new in 2017), the website and the Notice to the Annual Shareholders' Meeting. A performance made all the more remarkable by the addition of new assessment criteria every year. 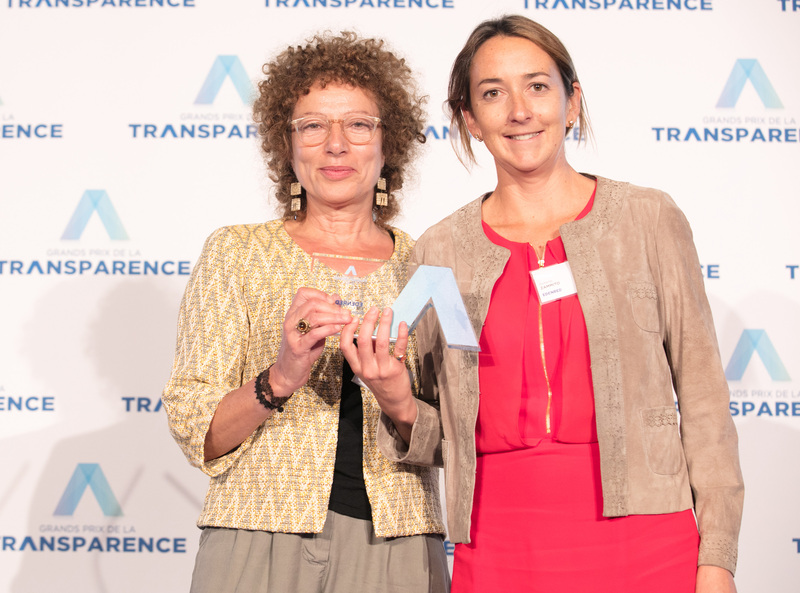 Left to right: Elisabeth Pascal, Regulated Information and Shareholder Relations Manager, and Solène Zammito, Financial Communication and Investor Relations Director, at the awards ceremony in Paris on September 21, 2017. The prizes are awarded on the basis of the annual Transparency Analysis of the four reference documents of the 107 French companies in the SBF 120.